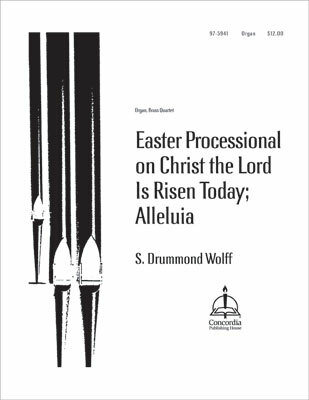 S. Drummond Wolff has arranged the hymn "Christ the Lord Is Risen Today; Alleluia" for organ, brass quartet, and unison choir or congregation. Instrumental parts included. Easter Processional on "Come, You Faithful, Raise the Strain"